When it comes to decorating for Thanksgiving, one area that’s often forgotten is the kids table. 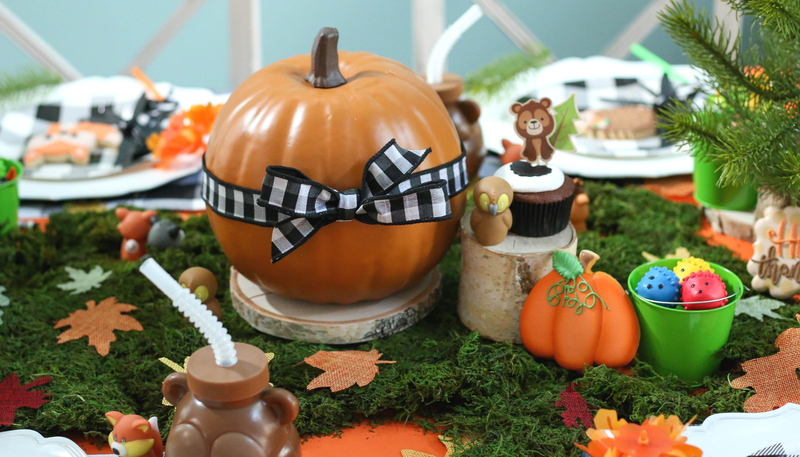 Your family members or your guests of a Friendsgiving will all be clamoring for a seat at this enchanting woodland themed Thanskgiving table just for kids. This table is packed with fun fall activities for kids, as well as plenty of sweet treats for after a big turkey dinner. The place settings for this Thanksgiving table are so full of detail! Each place setting features a buffalo plaid place mat made of the softest flannel and lined with white fabric on the back. White scalloped chargers add a little touch of formality to the otherwise whimsical and casual table design. 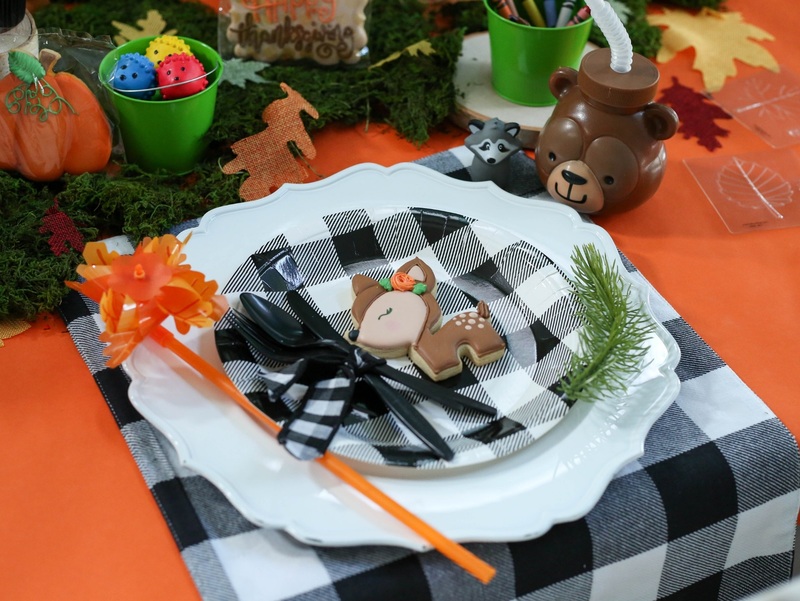 Buffalo plaid plates get happy with the addition of black cutlery tied with a fetching ribbon accent and a darling iced cookie creation. 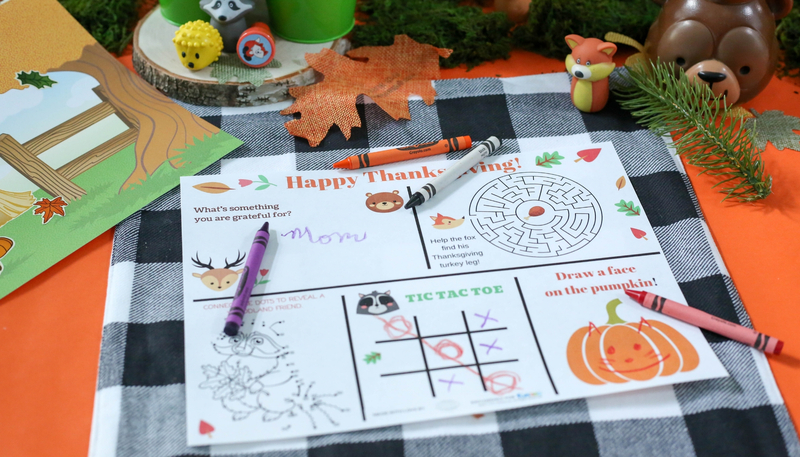 Crayons in buckets will come in handy when you download the free printable activity page that coordinates with our Woodland Thanksgiving theme! 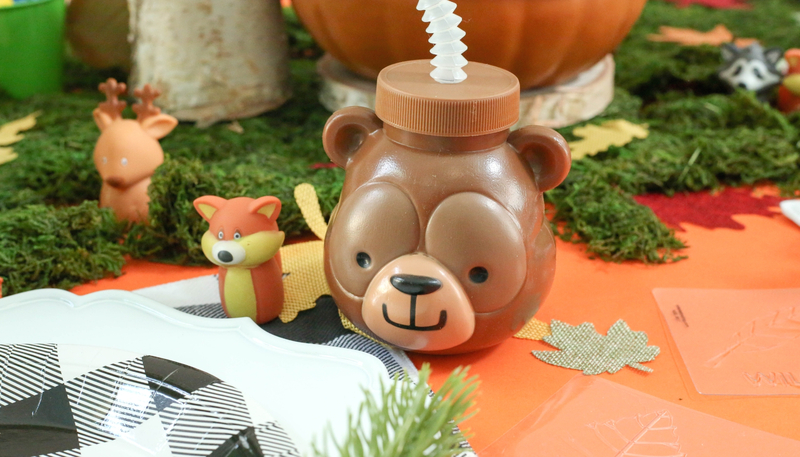 Woodland Molded Bear Cups with Straws are perfect for keeping spills under control and make a lovely take-home gift. The bear faces are just darling! 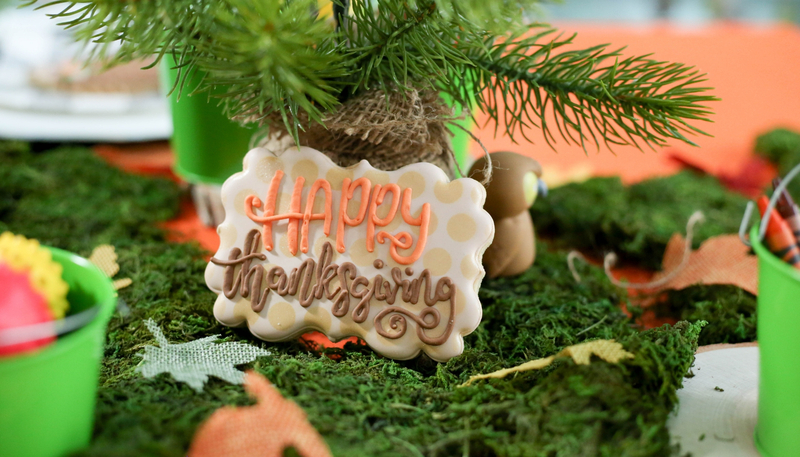 A cute kids’ Thanksgiving table starts with buffalo plaid decor, but it’s also imperative that there’s plenty of fun! 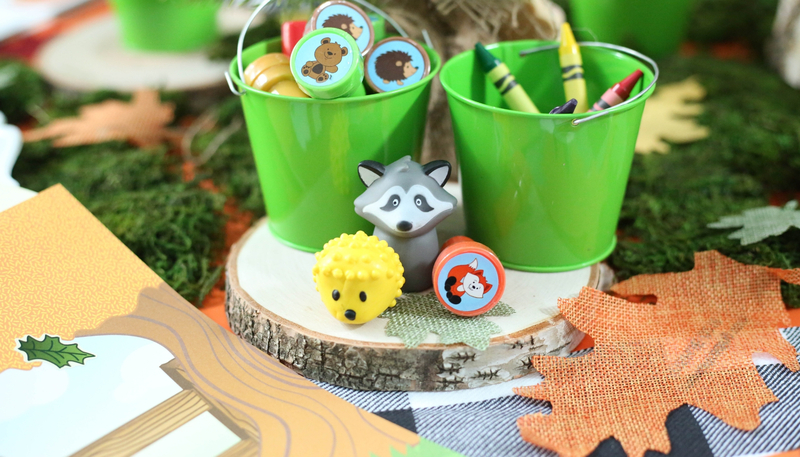 Green metal pails hold piles of hedgehog bouncy balls while woodland animal finger puppets are dotted throughout the forest tablescape. 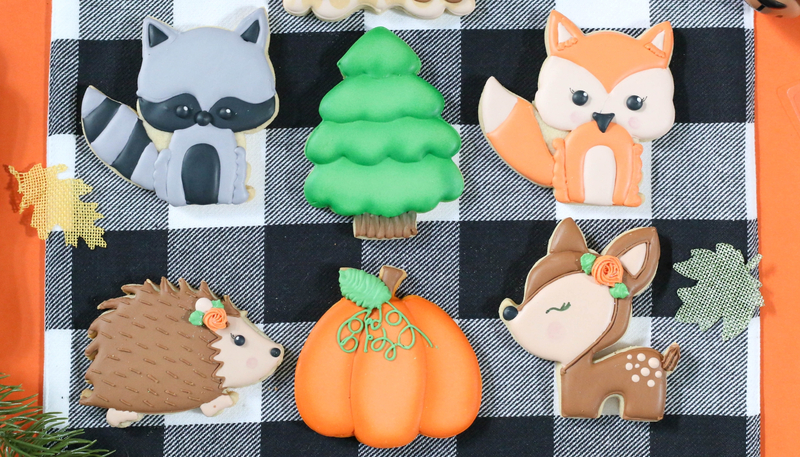 These cookies by Lucky Girl Cookies match the woodland animal theme perfectly and are a sweet bite after a big turkey dinner. 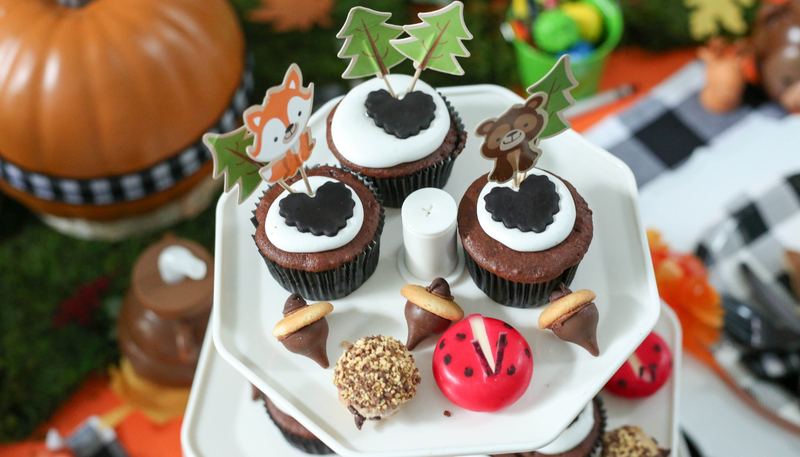 Adorable cupcakes with fondant hearts are adorned with charming woodland animal cupcake toppers. Get the recipe for these Dark Chocolate Cupcakes with Marshmallow Frosting here! 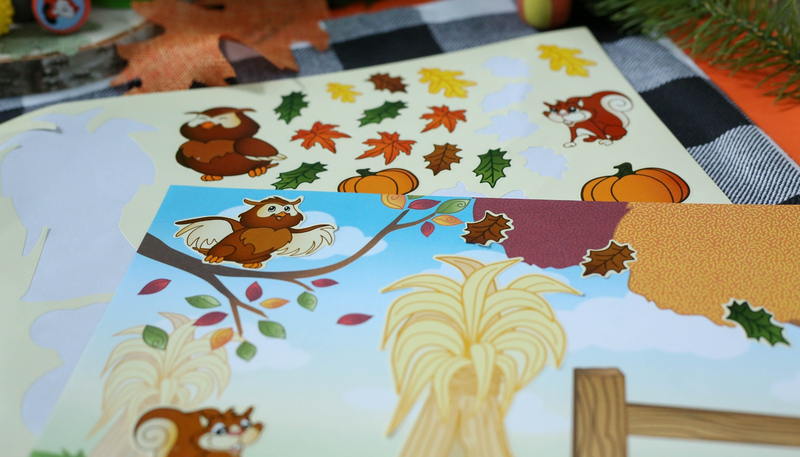 I hope you’ve enjoyed this enchanting journey through the forest and picked up some party planning tidbits along the way for creating your very own Woodland Themed Kids Thanksgiving Table!